Set in the early 1950s, “Hail Caesar” is a story-within-a-story that spoofs Hollywood of the fading golden era. The title refers to a sword and sandals epic that is really about the victor of Jesus Christ over the occupying Romans circa 33 A.D. George Clooney plays the larger-than-life star, Baird Whitlock. Baird plays a cruel Roman centurion who literally sees the light when Christ is crucified. That is if they can find Baird, who disappears from the set in mid-filming. Cynical studio fixer Eddie Mannix (Josh Brolin) figures Baird is off on another bender, but in fact Baird has been drugged and kidnapped and hauled off to a beautiful Malibu beach house where he meets members of “The Future.” It is a group of Hollywood screenwriters with Communist leanings, and they hope to indoctrinate Bird to their point of view. Oh, and they want $100,000 ransom. 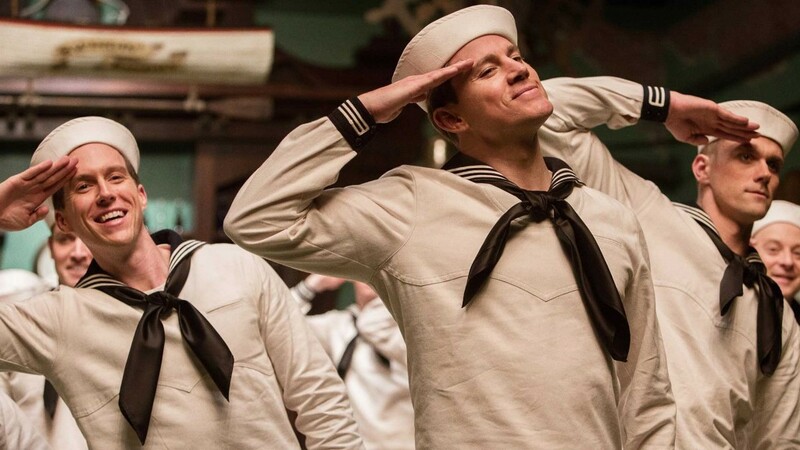 “Hail Caesar” is a self-consciously aren’t-we-clever parody on 1950s Hollywood. Alden Ehrenreich plays drawling cowboy star Hobie Doyle who is drawn in over his head by effete director Laurence Laurentz (Ralph Fiennes) to be a romantic leading man. Scarlett Johansson is a hoot as an Esther Williams-style swimming actress who discovers she is pregnant and is have trouble fitting into her mermaid suit. The list goes on. There’s Channing Tatum as devious actor Burt Gurney; Jonah Hill as clueless accountant Joseph Silverman and Veronica Osorio as the Carmen Miranda-style Carlotta Valdez. Though all the trials and tribulations is Eddie Mannix’ loyal secretary, Natalie (Heather Goldenhersh). As someone who knows Hollywood history more than the average Joe, I got the jokes and laughed a lot at “Hail Caesar.” Someone without foreknowledge may be baffled. But everyone seems to be having fun.